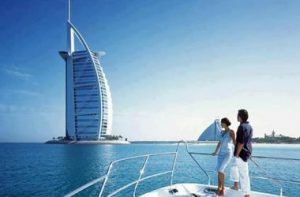 Each and every tourist should experience the dhow dinner cruise in Dubai which offers International Buffet Dinner. 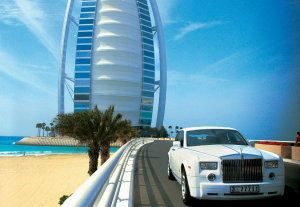 You will have a great time in Dubai cruising along Dubai’s Creek onboard traditional wooden dhow and thus having a memorable evening. The wooden dhow is decorated with colourful lights and great seating arrangements. Thus by having dinner under Dubai’s illuminated skyline will offer you sights of traditional and modern architecture. Old trading dhows, yachts and modern architecture such as Chamber of Commerce & Industry building and the Heritage Village are some of the impressive sights to enjoy. The Arabic and International music will soothe your ears and the buffet dinner will help you to select dishes from a wide continental and oriental varieties. You will also get an excellent variety of beverages which is a part of this dhow dinner cruise. This dhow dinner cruise includes pickup and drop offs, supply of unlimited mineral water, soft drinks and juices and Arabic, Indian and English background music. This dhow dinner cruise lasts for 2 hours mostly from 8.30pm-10.30pm. The tourists are served Arabic coffee and dates once they arrive for dining. The amazing lights of the Dubai Creek along with the belly dancing make this dhow dinner cruise much more entertaining.